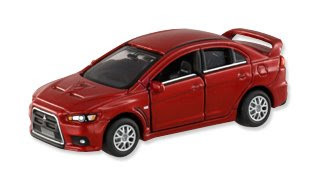 Update: Tomica Limited Mitsubishi Lancer Evolution X is here! Finally Tomica Limited Evo X is here in Malaysia. The model will be available at Litt Tak Hobby Shop this coming Friday (22/08/2008). Total 300 units available in this shipment, only 72 units will be shipped to the Hobby Shop as 1st reveal. The rest of the units will be released to major retailers in 1 to 2 weeks later depend on the arrangement. 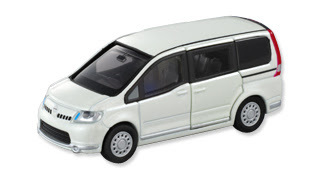 Besides this, Tomica Limited Nissan Serena will be published at the same time. Each Tomica Limited are selling at RM19.90. Oh, My God... so great!